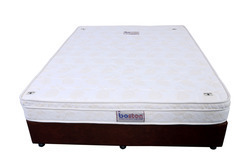 We manufacture the best quality Mattresses, Folding Beds and Home Furnishings. Owing to their smooth finish and comfortable design, these beds and mattresses are highly demanded across homes, hotels, lodges and hostels. We, India Mattress Company, started its operation in the year 2011, are known for manufacturing, supplying, exporting and trading best quality Mattresses and Folding Beds. 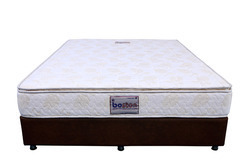 The product range offered by us consists of Spring Mattresses, Memory Foam Mattresses, Orthopedic Mattresses, Natural Latex Mattress, Roll Away Folding Beds & Bed Bases. The best quality materials such as fabrics are used for manufacturing the offered range as per the industry set norms. 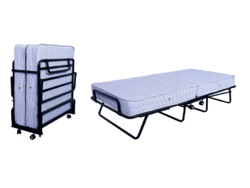 These folding beds and mattresses are used in homes, hotels, hostels, guest houses and hospitals. Owing to their elegant design, fine finish, durability and robust construction, these beds and mattresses are extremely popular among our customers. We have been able to establish a long-term relationship with our customers owing to our customer centric approach, ability to take & manage bulk orders, timely delivery at the customers ‘end and transparent transaction policy. Some of our valuable customers who are associated with us over a long period of time are Ebay, Pepperfry, Amazon, Paytm, Fabfurnish and many more. In addition to this, the offered range is available with us at factory prices. We make all efforts to make our clients satisfied and in doing so, we practice everything in our processes that our customer needs. Our products are manufactured using best quality raw material and tested by the quality analysts to leave zero problem areas. The easy payment modes and ethical business policies are one of the major role players in our efforts of client satisfaction.